Made in the U.S.A., Denali comes as a SmartHeightTM ADA-compliant toilet with an elongated front and an easy-to-clean vibrant PuraCleanTM glaze. Available in white, Denali includes a two-bolt tank-to-bowl SmartFastenTM system that assures perfect alignment and leak-proof connections. 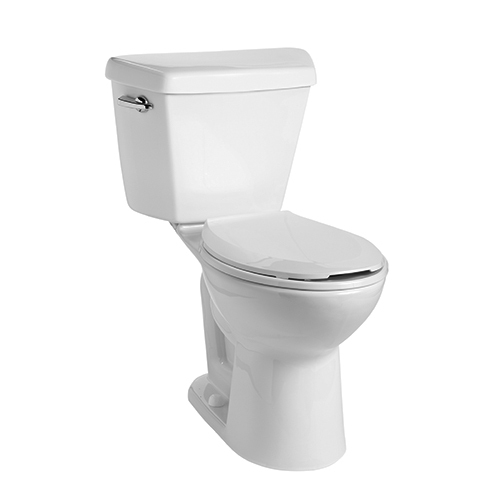 The powerful toilet is backed by a limited lifetime warranty on vitreous china and a limited five-year warranty on tank trim. Mansfield Plumbing precision manufactures millions of pieces of sanitaryware and bathware each year at its facilities in Perrysville and Big Prairie, Ohio and in Henderson, Texas. Founded in 1929, Mansfield Plumbing, which is owned by Corona, is a leading producer of top-quality, high-design, performance plumbing fixtures and fittings for use in residential, commercial and institutional markets. For more information, visit https://www.mansfieldplumbing.comor call 877-850-3060. * Proven through independent testing.